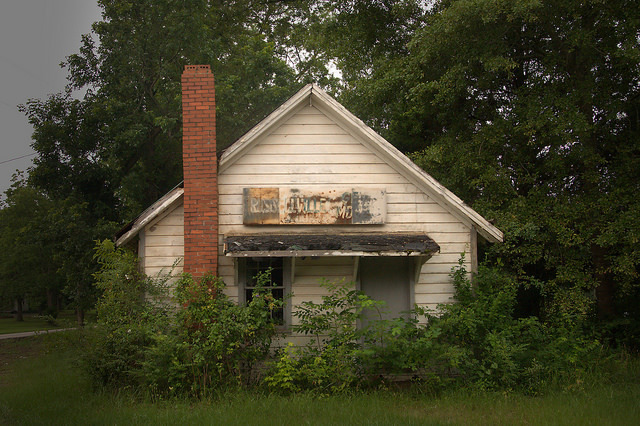 Driving west from Forsyth toward Musella, you’ll pass through Russellville. 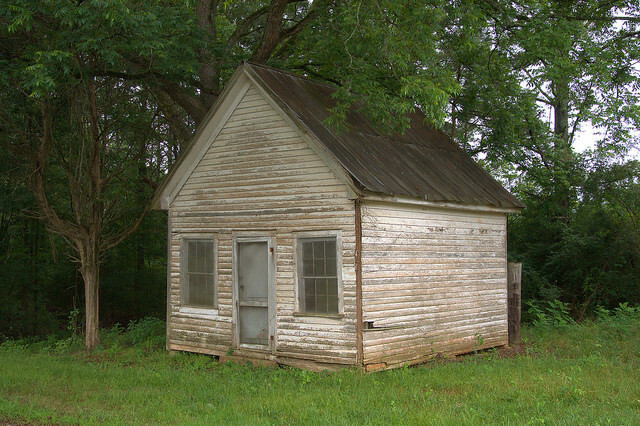 Besides the historic Russellville Baptist Church, located nearby, this old general store and the unidentified structure in the previous post are all that remain to indicate that this was ever much more than a crossroads. Thanks to J. C. Nobles for the identification. He recalls voting here in the early 1980s, before polls were moved to the VFD building. It’s located across the road from Russellville General Merchandise.